Robert J. Grey, Jr., Esq. Administrative litigation involving franchising, licensing, and regulatory matters before state agencies; legislative representation of trade associations and corporate interests before the Virginia General Assembly. Mediation experience includes personal injury, labor and employment, construction, public policy, and commercial disputes. Partner, Hunton & Williams, Richmond and District of Columbia. Member, Board of Trustees, Washington & Lee University. 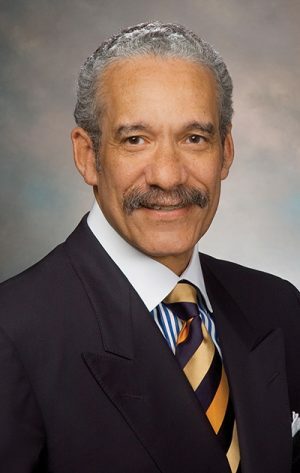 Former President, American Bar Association. Former Member, Council of the Section of Dispute Resolution, American Bar Association. Board Member, Legal Services Corp.
Executive Director, Council of Legal Diversity. Former Chairman of the Board, Rule of Law Initiative (ROLI), American Bar Association. Former Chair, Virginia Alcoholic Beverage Control Board. Former Member, Board of Directors, Virginia Biotechnology Research Park. Former Chair, Greater Richmond Chamber of Commerce. Former President, Young Lawyers Conference, Virginia State Bar. Member, Richmond Performing Arts Committee. Member, Board of Directors, St. Catherine’s School. Former Member, Board of Visitors, Virginia Polytechnic Institute and State University. Former Member, VCU and William & Mary Business Councils.